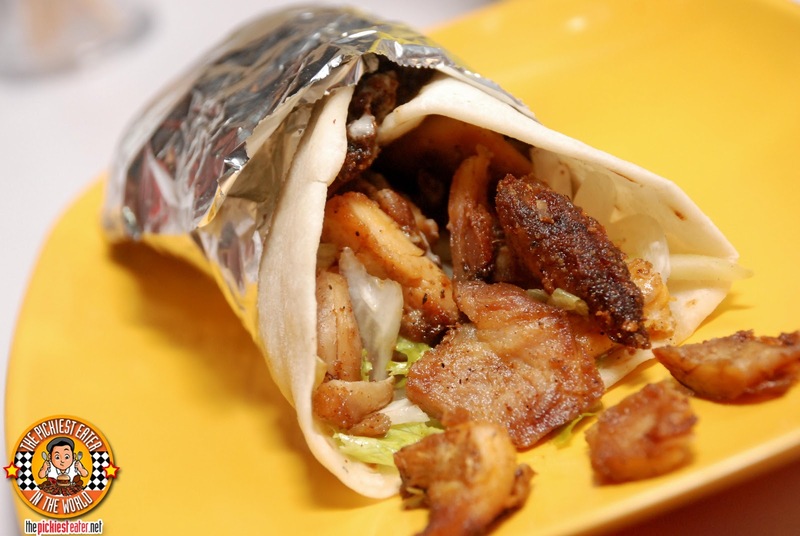 THE PICKIEST EATER IN THE WORLD: SHAWARMA GUYS AT THE FORT STRIP! Truthfully, I'm not a very huge fan of Mediterranean food. I feel that sometimes, the ingredients they used is a bit too far out for my simple, Joe Shmoe Palate. But I do have to admit, I'm a fan of a good Shawarma. I pick out the tomatoes, and cucumbers and whatever vegetable they may have thrown in there (Or request it with no veggies hehe), drizzle my meat packed wrap in the garlic sauce, and BAM, i'm good to go (Did that sound weird?). One time a few years back, I was having dinner at my parent's place. My mom (who loves experimenting with recipes), made a deconstructed Vegetable Shawarma, filled with egg plant, yellow peppers and the like (I say "deconstructed" because you wrap it yourself). Truthfully, when mixed with the garlic sauce she made, it was actually quite good. If there is anyone who is aware that I am a Picky Eater, it's the woman who raised me and had to deal with my picky-ness first hand, so she also prepared a plate of liempo for me to devour, just to make sure I don't complain. As I was watching them wrapping up their shawarmas in the pita bread (she also set aside some grilled chicken breast strips for those who wanted more protein in their shawarma), I realized I was missing out on the fun. The steaming Pitas were too irresistible to pass up, so I decided I wanted to make a shawarma. I had already put a small pile of liempo on to my plate, so I was getting a little guilty (just a little) about double carb-ing my meal.. A chicken breast-veggie shawarma, and liempo with rice? You can't have liempo without rice, can you? You could very well lose your Filipino citizenship! Torn between wanting to make myself a shawarma and eating my liempo, a had a moment of Zen, and did the unthinkable: I made a Liempo Shawarma. And it was incredible. How incredible? Well.. My companions for the evening.. meaning my brother, my wife, and yes, even my mom saw what I was doing. And guess what? There was loads of chicken breast and veggies leftover that night.. and not a single piece of liempo. 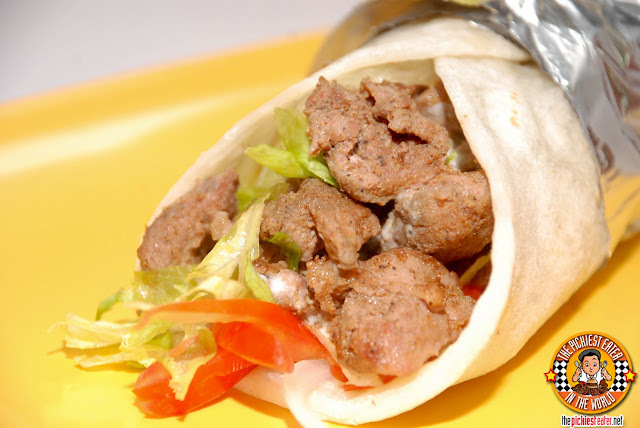 I called my creation "Inihaw na Shawarma", and realized that there was so much possible concoctions one could come up with, using that classic Mediterranean wrap. The closest thing I had ever seen to creativity with a shawarma, was when a popular Mediterranean restaurant gave you an option to add french fries into it (Quite good though). But how about a shawarma for the everyman.. the guy that doesn't eat too much veggies.. the guy whose taste buds has been far too influenced by the Western culture.. A guy like me? Shawarma Guys is a casual dining place at The Fort Strip that features delicious Mediterranean food, and creative takes on the classic Shawarma. The brainchild of the mind behind the menu of URBN Bar and Restaurant, Chef Benjo Tuason, Shawarma guys is the perfect compromise for groups who are torn between eating at a restaurant with Mediterranean cuisine, or having more mainstream fare. 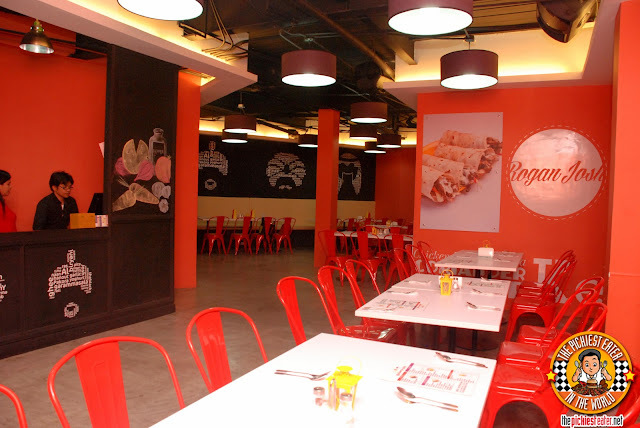 The relaxed vibe of the place gives makes it very easy to get lost in a meal and drinks with friends. With its simple interiors that have Mediterranean toned artwork with a modern twist adorning the walls, you get a good sense of the cuisine you're about to feast on. 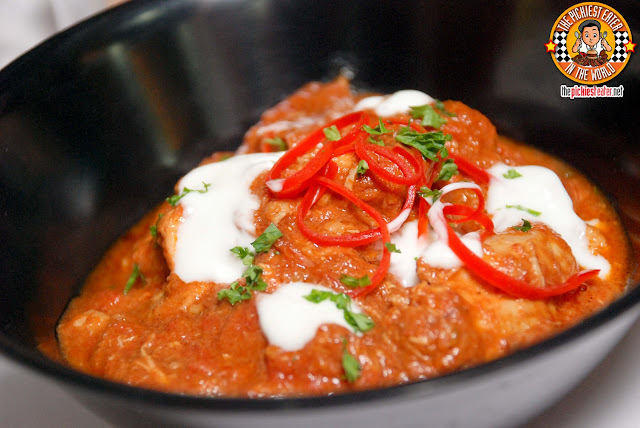 Before we attacked the Shawarma, my blogger friends and I were given the opportunity to sample other non-shawarma items on the menu first, starting with the Chicken Makhni (P220). This was buttered Chicken in a thick tomato sauce, and basmati rice. It was actually a nice medley of flavors, that Rina and I enjoyed, however I couldn't eat so much because of the tomato sauce.. which worked for Rina just fine (more for her). The brilliance of choosing my blog's name is, it made it easy for me to decline trying certain dishes that are too far out for my taste buds. Cuz let's face it, how much of a "Picky Eater" would I be if I told you, "Dude, you've got to try this awesome Garlic Ox Brain!". 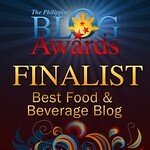 In my defense, I was not the only blogger there that found it a bit too weird.. 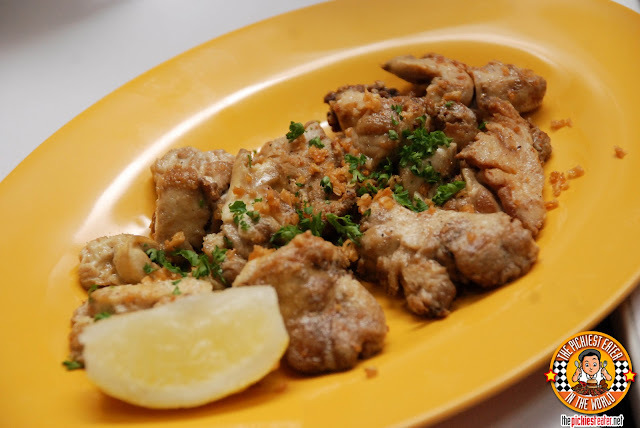 But truth be told, the majority, found the Garlic Ox Brain (P150) of Shawarma guys absolutely delicious. I was watching the other bloggers drizzle some lemon on to the brains and eat heartily, when Hefty Foodie graciously offered to put some on my plate. The only thing I can do was stare at him and say, "Dude.. It's BRAINS.". To my other companions who were regulars of Mediterranean cuisine, this is pretty much a menu staple, so they found it less shocking. Although I have to admit, I did have fun everytime someone would ask me what the dish was, I would answer in the voice of a "Plants vs. Zombies" Zombie.. 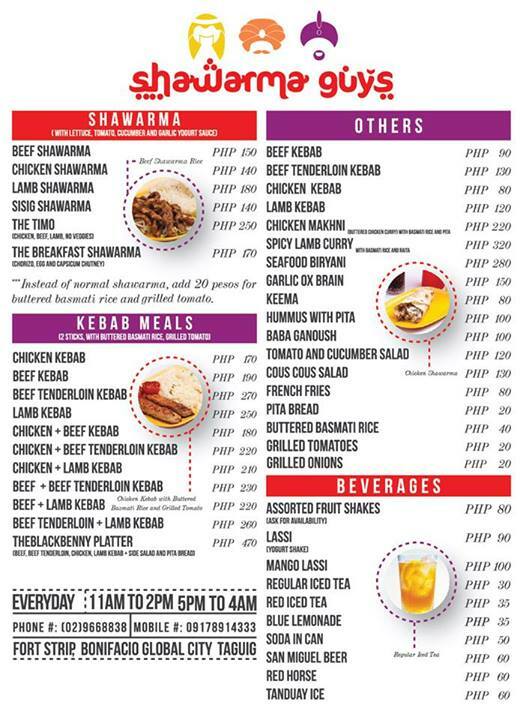 If you're stuck in a conundrum wondering which kebab to order, Shawarma Guys solves your problem by offering the "Black Benny Platter" (P470), which offers a Kebab selection comprised of Beef, Beef tenderloin, chicken and Lamb, placed on top of Rice, with a side of Pita bread. The small added touch that I liked was the adding of a small bit of butter in between the meat, as it allowed me to mix it into the rice. Each type of meat had its own pronounced flavor, leaving me feeling that they should never be served or ordered separately ever again. Take the same components of the first shawarma, but replace the meatiness of the beef with the light gaminess of Mary's little best friend, and you've got yourself a Lamb Shawarma. Bits of crispy pork skin and slices of smoked pork packed into a Pita wrap, and mixed in with some veggies and and garlic sauce. Such as simple idea, yet so unbelievably tasty. That my friends, is Shawarma Guy's Sisig Shawarma (P140). It was in the same mindset of the liempo wrap I had in mind during the long intro, so it's quite obvious that I was going to take a liking to this, and I did. It's something I would definitely recommend to others. But the big Kahuna I was waiting for, was the Bacon Shawarma. Yes, you read that right. 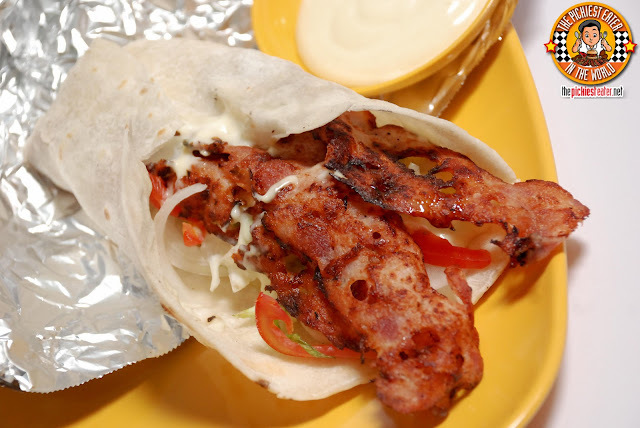 Bacon, in a shawarma. Genius. The idea was brilliant no doubt, and the shawarma itself was delicious, but I would have preferred the bacon itself to be a little less lean (read: more fat) and you were allowed to order "extra bacon", because three strips just ain't gonna cut it for me. 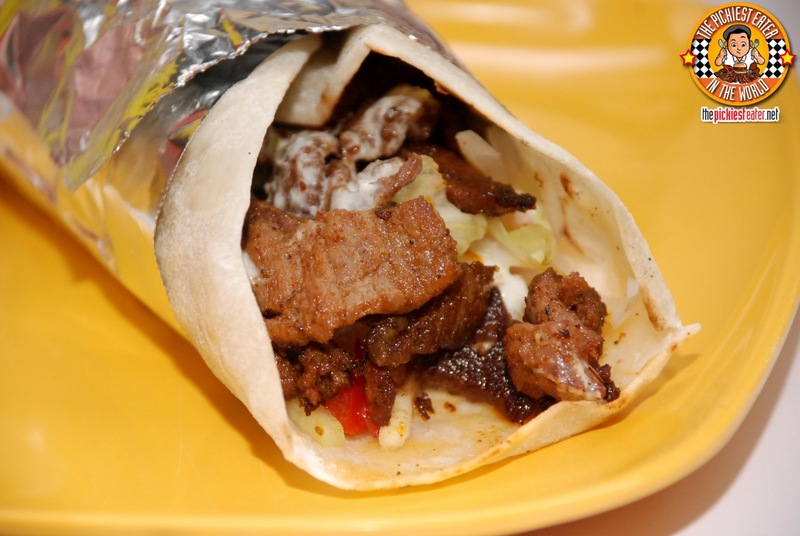 For added "Ooomph" Shawarma Guys used a yogurt cheese garlic sauce. I think this was awesome out of the box thinking for a shawarma. And I stand by my prediction that an "Overstuffed Bacon Shawarma" would be a top draw! 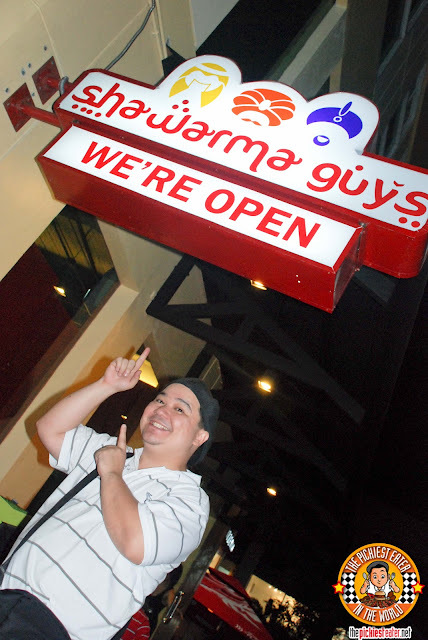 The menus of Shawarma Guys and URBN is a testament to the versatility of Chef Benjo Tuason's skills. I'm not in any position to tell you how authentic Shawarma Guys' Mediterranean dishes are, which is perfect because that's not what they're trying to go for. 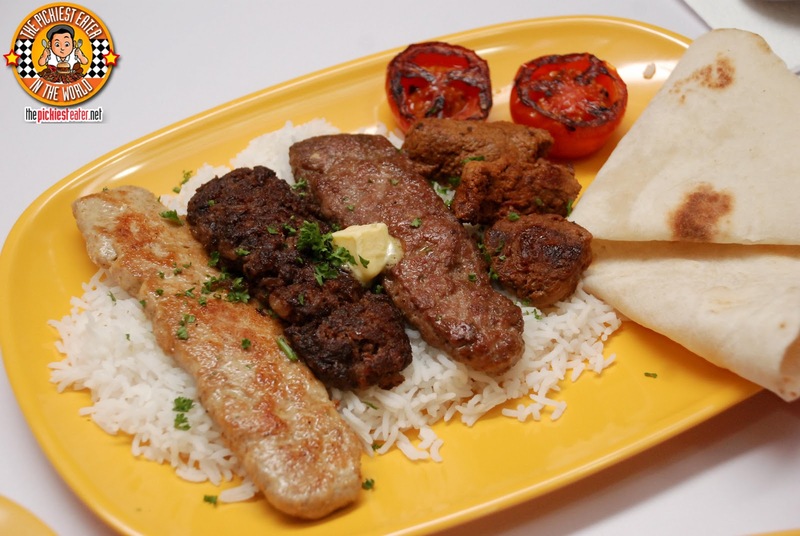 The theme is Mediterranean, sure, but it's their fearless play on that delicious cuisine that makes their dishes shine. If you follow Their facebook page, you'll find more of their unique Shawarma concepts, with their "Shawarma of The Month". Their mouthwatering creations include, Buffalo Chicken with Bleu Cheese Shawarma, Arroz Ala Cubana Shawarma, Lamb Sisig Shawarma with Mint Sauce, Vigan Longganiza with Quesong puti, and Grilled Fish with Mango Salsa! All worth waiting for!! They should make an ultimate shawarma. All the ingredients, x10! I'm thinking Man vs Food size. Now that's a challenge I wouldn't mind conquering.